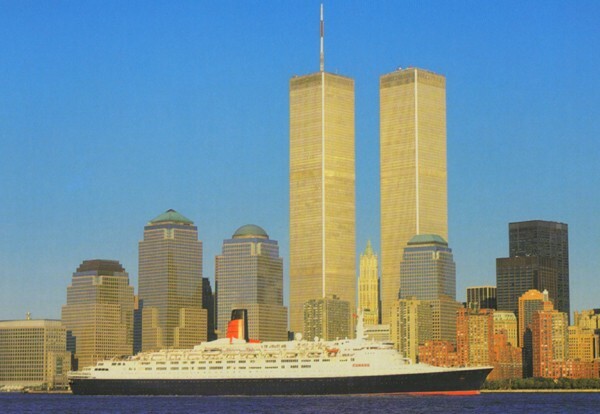 Cruise Talk: 9/11 Remembered CruisePage.com - Discount Cruises, Last Minute Cruises, Cruise, Cruise Line, Cruise Vacation. Lest we forget those who were lost on this date, 2001, when our lives were changed forever. Thanks Rich. A number of us were online that day trying to understand what was happening. Here's a link to the thread from that morning. That was such a weird day. I will never forget how that day felt, like the the whole world was in shock which I guess it was. It was so quiet that day and it was really weird not to have any planes flying over that day( Pasadena usuallly has quite a few fly over everyday). paper flying everywhere outside the windows and thinking "what the heck is going on". where we were as we were much safer inside than out. debris outside was now going horizontal instead of vertical. Sirens and people were wailing everywhere. When that happened, all in the frame of a split second, I just screamed HOLY ---- !!!!! and slammed the phone down. few floors where we sought refuge, still not aware of what had just happened. was time to go and we continued our trek downward through the maze of fire stairs and through a labyrinth of tunnels. We finally emerged into the smoke filled lobby and the Security Guards were screaming for us to just break and move as fast as we could for the river, not to stop until we hit the river. virtually destroyed with girders and debris amidst the giant palms. It just didnt seem real. I feared for many of my friends and colleagues, I feared for what might come next. day life literally come crashing down around me. call it home. Here we are, but a year later and the city is rebounding like no one thought it would. Tens of thousands of workers have returned to the Financial District, small business are slowly re-opening and one week from now the WFC Winter Garden will officially re-open. But one thing wont change, every time I look out on WTC from across the street on the 44th Floor, there's still a big hole in the ground. And There's an even bigger one in my heart. God Bless America and God Bless all those lost and all those that still grieve for them. May they find comfort, strength and solace some day, some how. What amazes me to this day is that even though the city has rebounded greatly as have most people, is the wave of raw emotion that comes back on this day, every year. And seven years on, I still cringe every time I hear the whine or roar of a jet engine. I saw the towers go down from the Jersey Turnpike and unable to reach my relatives in Manhattan for 24 hours. My tablemate on QM2 in 06 had been rescued from the rubble. Favor: Joe at Travelpage, when going through the old thread the voice at for a free whatever went off. It is annoying at best and any lenght of time at CT the volume is muted. Please disable it for the WTC thread as it is an emotionally charged one and hearing it on that thread is really is beyond annoying. I find that every 9/11 I get very depressed and do not like to watch the happenings on TV. To think that theses fools who would attack us is beyond comperhention(spelling). The US and it's allies rush to help those where ever, even our enemies when disasters occur. And they hate us for doing it.